Completed in 2008, the Emerald was constructed with several environmentally-responsible materials, including bamboo, recycled fiber fabrics and low-VOC paint, but don't let that fool you into thinking that this is a low-profile residence. The main lobby designs include a chic and sumptuous lounge; a great room with a flat-screen TV, a large conference room with a fireplace and high-speed internet; business center and even a private bar, "Club Emerald." On the lobby level you'll find a fantastic 1600 square foot gym with six flat screen TVs and state-of-the-art exercise equipment. 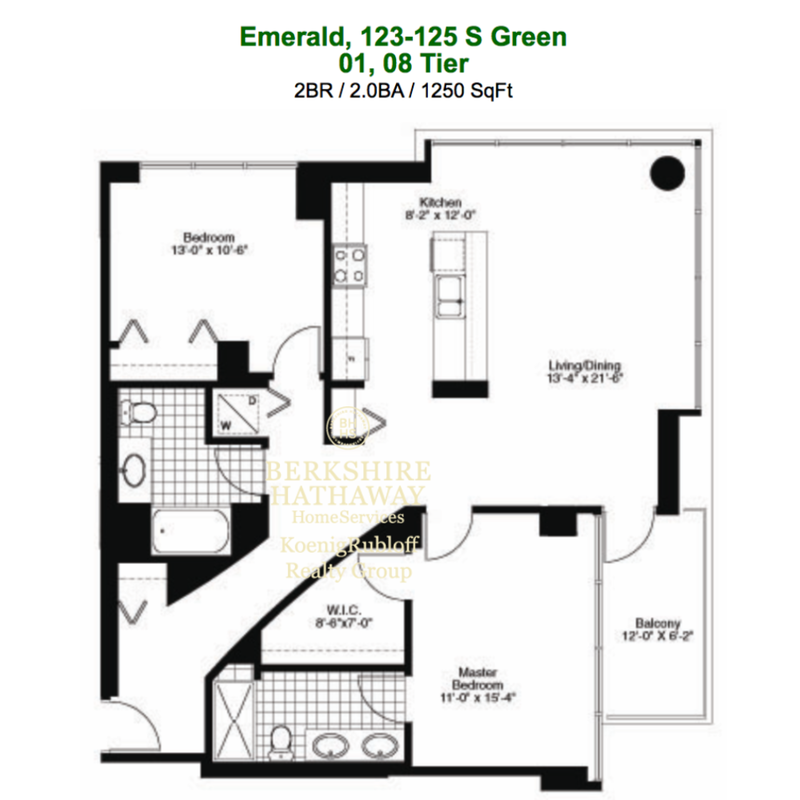 There are only ten units per floor featuring six different floor plans which include one bed/one bath, two bed/two bath and one bed/one bath plus den. All two bed homes are corner units and every unit includes floor-to-ceiling windows and its own private balcony. East facing units offer unobstructed views of Chicago's spectacular skyline while the West overlooks one of the cities newest and most modern parks, complete with a dog run. 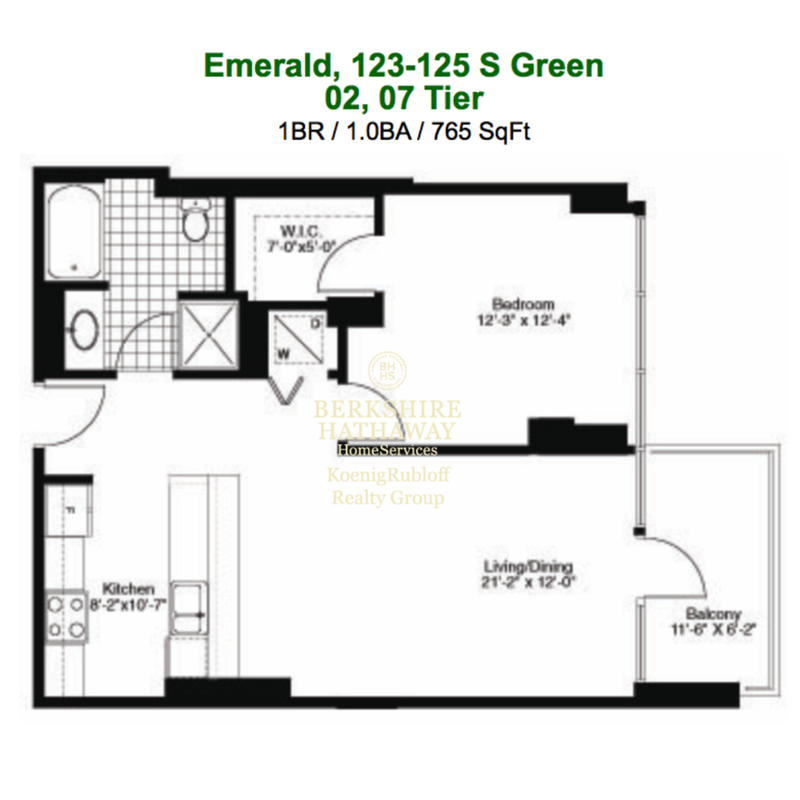 The Emerald boasts a fantastic location - walking distance to downtown, public transportation and easy access to all expressways in the heart of Greektown! This means the city's best Greek restaurants are literally out your front door, with Greek Islands, Pegasus, Santorini and Athena Greek just steps away, not to mention Karyn's On Green within equal distance! Don't forget all of the fine dining restaurants including Girl and the Goat a few blocks away on Randolph as well. And for entertaining, it's perfect to know you're only a mile-and-a-half out from Millennium Park and the Magnificent Mile.